As an organization you may want to limit the employees who can upload videos. 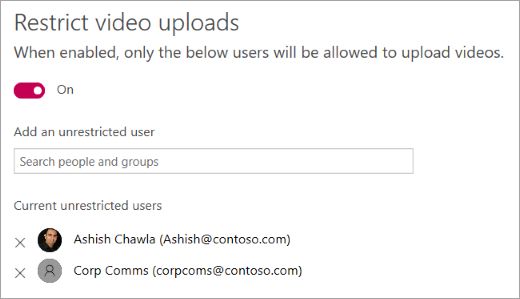 By default, everyone in your organization can upload videos. You want to make sure the experience is always curated and hence want to assign a few content creators. You are doing a proof-of-concept with a smaller audience before allowing anyone within your organization to start creating content. 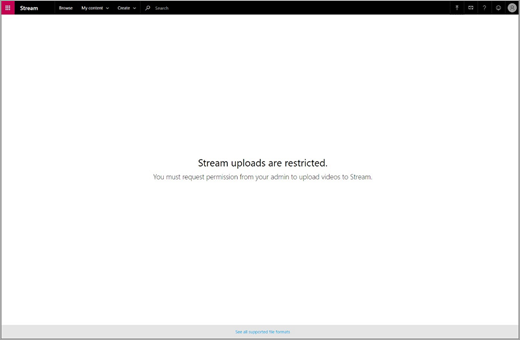 You must be a Stream admin to restrict who can upload videos. 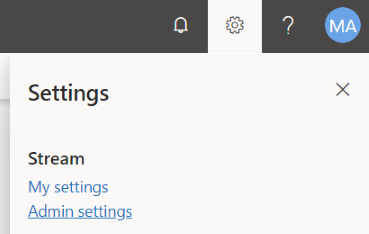 In Stream, go to Settings > Admin settings. Set the Content creation > Restrict video uploads flag to On. After this setting is enabled, employees will not be allowed to upload new content, however, if the users had previously uploaded content and they don't have upload permissions now, their existing content will still appear in their My Video section and will not be automatically deleted. After you restrict an employee from uploading content or creating channels, they will see an error message on the upload page indicating that the admin has blocked uploads. Only employees you have granted access will be able to upload.